Readers may recall that I posted an article entitled "No Brexit Deal is Better than a Bad Deal" and I still very much believe that no deal is better than a bad deal. However, a minority of leave voters are now stating that, because Michel Barnier currently seems to be negative and pessimistic about Brexit and isn't being as helpful as perhaps we would like, we should just leave the EU now with no deal at all. I disagree with this. The Government should not aim for no deal but it should state that we’ll leave with no deal if the EU were unwise enough to only offer us a punitive deal. We haven't got anywhere near far enough in this negotiation to know whether or they will only offer us a punitive deal and, as I have written before, I think that this would be highly unlikely. We haven't even begun to seriously discuss post-Brexit trade or our future relationship with the EU. 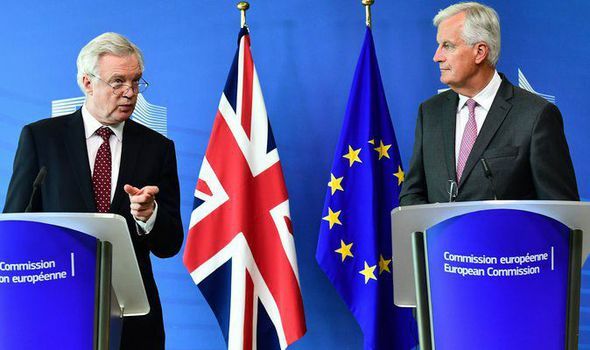 Even in the so-called “divorce talks” we have made significant and very encouraging progress, particularly on citizens' rights and the border between Northern Ireland and the Republic of Ireland as Brexit Secretary David Davis has pointed out. Leaving now with no deal would lose us the support of remain voters which we’ve just attracted. According to YouGov, 68% of all voters want the Government to get on with Brexit, up from 51.9% in the referendum last year and 68% of all voters think we should leave both the EU and its internal market. Almost all leave voters also want a free trade agreement (FTA) with the EU. Since the Brexit vote, UKIP have proposed leaving the EU by immediately repealing the European Communities Act, 1972 (the piece of domestic legislation which first took us into the EU’s predecessor) without ever invoking Article 50. This is the main reason why I and many other (often long-term) Brexiteers didn’t vote for UKIP at the General Election. Such a policy would eradicate our legal and regulatory equivalence with the EU (one of our unique significant advantages in trade talks), crush any hope of legal continuity and certainty for businesses and would likely thwart any prospect of FTA with the EU for the foreseeable future. If we were to suddenly leave the EU now without first passing the Great Repeal Bill, we would not have legal or regulatory equivalence as most EU laws and regulations specifically relates or refers to the EU and/or its connected regulatory bodies, etc… which we will no longer be members of. These laws and regulations will, therefore, no longer apply in the UK and we would lose our equivalence. Leaving without passing the Great Repeal Bill would leave us with a uncertain legal black hole and would, as the current Brexit Minister, former Chair of “Conservative for Britain” (Brexit campaign group within the Tory Party), Brexit campaigner and voter, Steve Baker MP, has said leave us with “a hole in the statute book”. The Great Repeal Bill is all about “certainty, continuity and control” (Baker) and it needs to be passed to ensure that the UK statute book is both complete and workable after Brexit. 59% of all of our laws originated from the EU in the first place and all of those laws, if piled up would be equal to the height of Nelson’s Column. “There are believed to be 12,000 EU regulations (one type of EU law) in force [in the UK], while Parliament has passed 7,900 statutory instruments implementing EU legislation and 186 acts which incorporate a degree of EU influence” (BBC News). The total body of European law was, in 2010, estimated to consist of about 80,000 items (BBC News). This will be Parliament largest ever legal challenge and will take at least a year and it is vital that this challenge is completed in time for Brexit. The Government has estimated that it will need to use 800 to 1,000 statutory instruments just to get the statute book ready. When he went before the European Scrutiny Committee just after his dismissal, Sir Ivan Rodgers rightly, in my view at least, said that the EU would not, in the foreseeable future at least, give us a free trade deal if we were to suddenly leave the EU now with no deal. They could see it as us rudely snubbing them and stating that we don’t need them and that we don’t care about their interests or those of their member states and thus wouldn’t take kindly to such a move. They may then hold a long-term grudge and refuse to give us a free trade deal. This negotiation is not just about trade. There needs to be negotiation around possible continuation of European Health Insurance Cards (EHIC), aviation (the Open Skies Agreement), etc… There are also important so-called “divorce issues” such as the rights of UK nationals living in the EU and those of EU nationals living in the UK, the border between Northern Ireland and the Republic of Ireland and the so-called Brexit “divorce bill”. Withdrawing from the EU without ever invoking Article 50 would violate European law under the Treaty of Lisbon and international law under the Vienna Convention on the Law of Treaties. As of 13th February this year, this was UKIP's official policy and some Conservative MPs such as Sir Bill Cash also supported such a policy in the immediate aftermath of the EU referendum last year. We ought to therefore hold our nerve, unite and stick to all of our redlines set out in Theresa May's Lancaster House speech, the Brexit White Paper, the letter invoking Article 50 and on pages 35-37 of the Conservatives' 2017 manifesto and wait for the EU to back down from their seemingly stern and hostile positions which is, as I explained in an earlier article, highly likely.